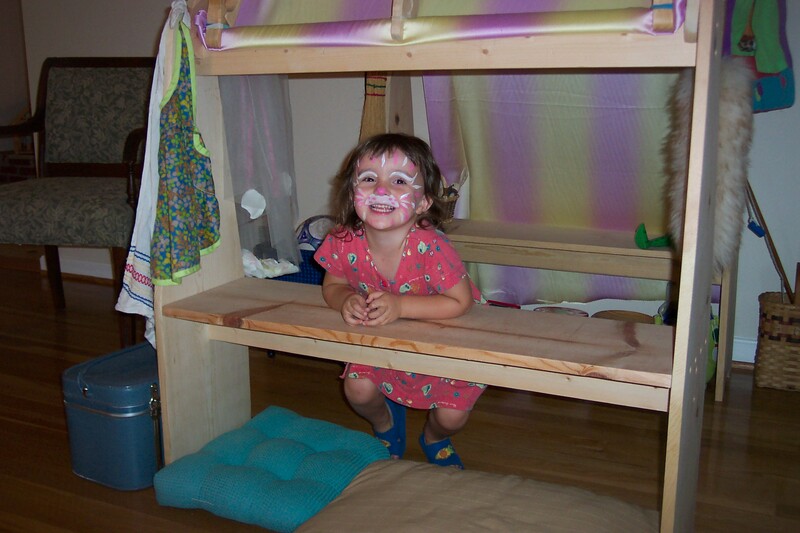 So, if play is the work of childhood, then playstands were definitely Ivie’s first desk. My dad made the 2 playstands and the canopy pieces for Ivie when she was two. And then she grew. We took out some of the bars so she could use the playstand and not hit her head. 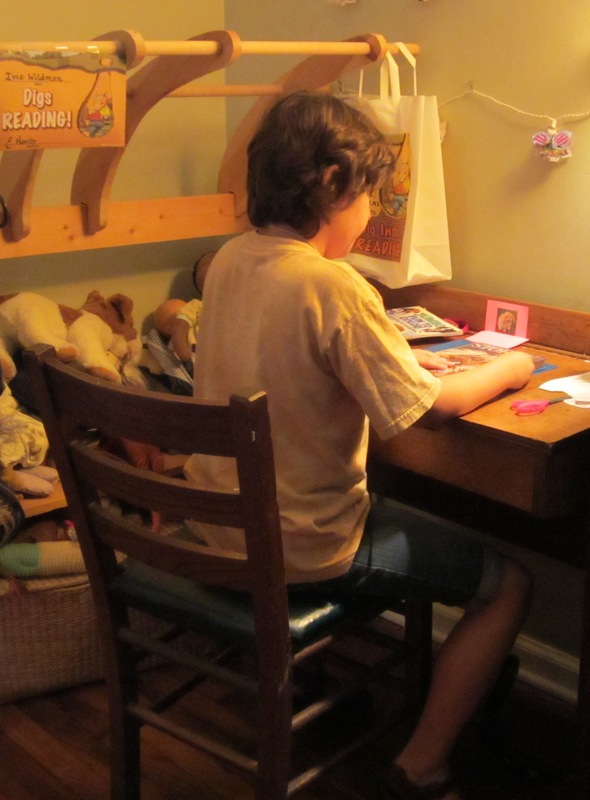 Eventually the canopy had to go, the stands were pushed together to hold toys and she moved into an old school desk. 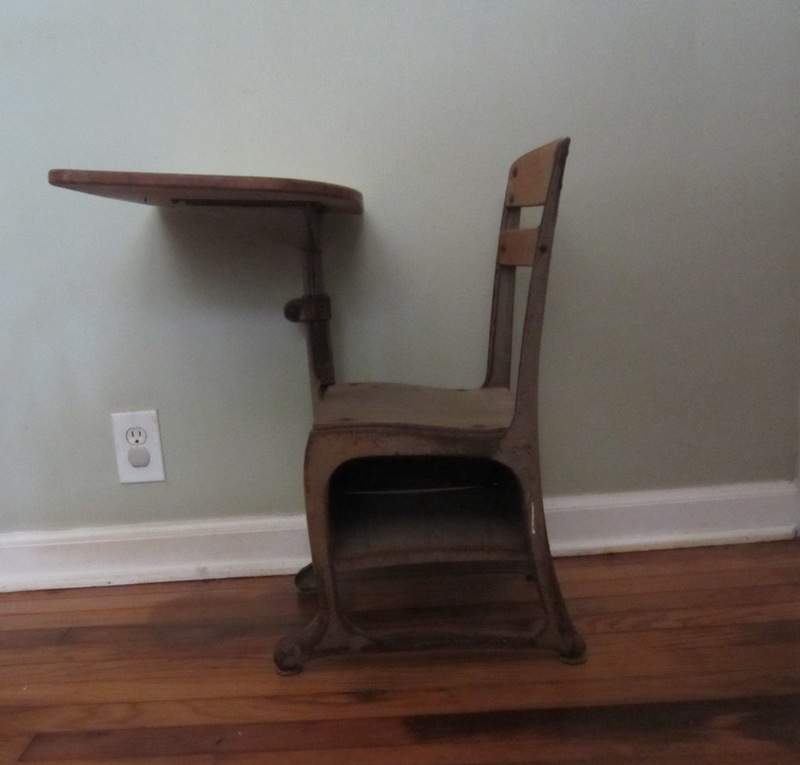 I spent many a year in one of these desks and have no memory of them being especially comfortable. Well when your legs grow like weeds, this desk is soon too small.